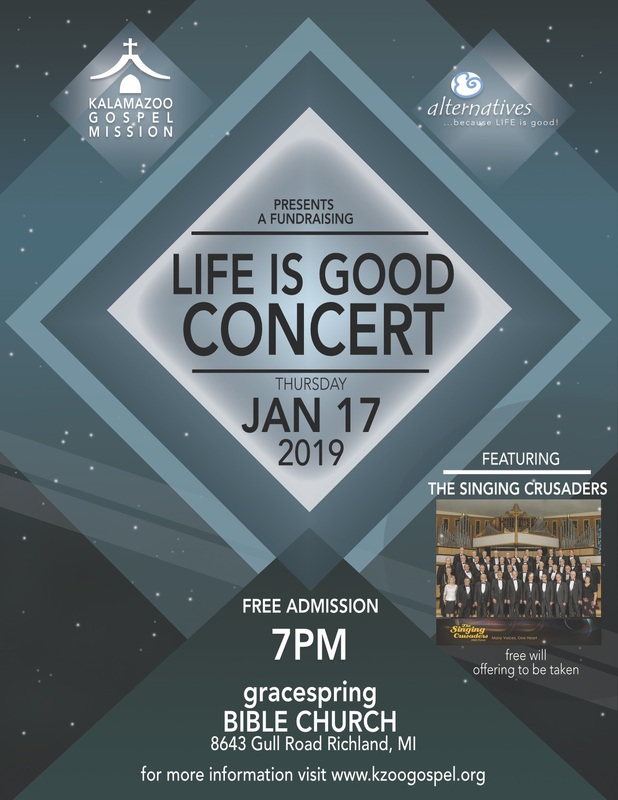 Join us for a benefit concert for the Kalamazoo Gospel Mission and Alternatives of Kalamazoo. "The Singing Crusaders Male Chorus has been in existence for over fifty years in the West Michigan area. The chorus is comprised of over 60 men who come from all walks of life who are confessing, born-again Christians representing 37 churches and 12 denominations."